BOOK AND BED TOKYO’s concept is a “bookstore that you can stay at.” This article will introduce its location in Asakusa. Its features include a 24/7 bar counter and super comfortable to sleep in pajamas! 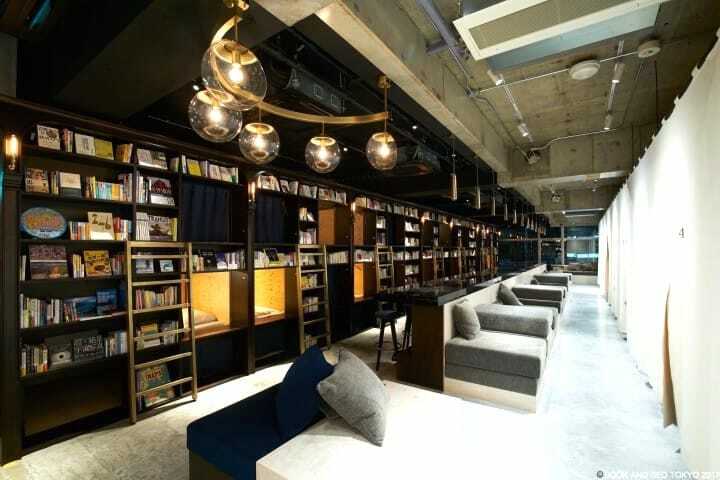 BOOK AND BED TOKYO is a lodging facility with the concept of being a “bookstore you can stay at.” It is somewhat different from that of a common hostel or a business hotel and is a hotel for book lovers. After opening new locations one after another in Ikebukuro, Kyoto, and Fukuoka, BOOK AND BED TOKYO added a new location in Asakusa in 2017. The hotel owner says, “We were searching for the ideal location for a long time.” Though there are already many hotels in the Asakusa area, reasons such as being a “business hotel for travelers” were why they looked into the realization of a BOOK AND BED TOKYO location in the area. After years of searching, it appears that a location that fulfills that theme has finally been found in Asakusa. To delve so deep into reading that you fall asleep before you’ve realized it… We will share that moment of bliss to those that love traveling and reading. Next PageOn the next page, we will introduce the features of the Asakusa location!